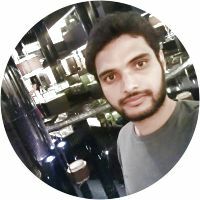 Ganta aravind is an experienced physiotherapist, available for physiotherapy services in Trimulgherry, Kompally-Jeedimetla, Bollarum, Hyderabad. Ganta aravind is specialized in Orthopedic physiotherapy services and can help with Knee Pain, Neck Pain, Back Pain, Shoulder Pain, Sciatica Pain, Joint Pain, Tennis Elbow, Cervical Pain, Stroke, Muscular Dystrophy. Book In-Home PHYSIOTHERAPIST appointment near Trimulgherry, Kompally-Jeedimetla, Bollarum Now!